Being one of the brightest musicians of the younger generation, Nikita Borisoglebsky has been generally recognized after his brilliant appearance at the XIII International Tchaikovsky Competition in Moscow (June, 2007) where he became the Second Prize and Silver Medal winner and received five special prizes. He first started to study music playing piano at the age of 5, and aged 6 he has been recommended to switch over to a violin. Being a 10 year old boy he gave his first performance with the Rostov Philharmonic orchestra. In his early years he participated successfully and won top prizes from a number of youth competitions such as the "Youth Art Assemblies" and "New Names" fund scholarship in Moscow. These gave him not only an opportunity to visit workshops at the Moscow Tchaikovsky Conservatory but led him to collaboration with acclaimed artists such as cellist Natalia Gutman who invited Nikita to perform at Oleg Kagan festival in Germany. In 1999 Nikita Borisoglebsky graduated Rostov College of Arts as an external student and at the age of 15 entered the Moscow Tchaikovsky Conservatory where he studied under professor Eduard Gratch. These years he performed triumphantly and has been awarded the first prizes at Yampolsky Competition (2000) and in Kloster-Sch?nthal (2003, Germany), Joseph Joachim International Competition in Hannover (Germany, 2006), David Oistrakh International Competition in Moscow (2007) and fifth prize at Queen Elizabeth competition (Brussels, 2009). He also took part in series of international workshops and at the moment completing his post graduate course at the Conservatory. His talent was marked with Russian and international awards and scholarships as those from the "Yamaha" Performance Arts fund, "Russian Performance Art" fund, Moscow Conservatory's and Russian government grants. 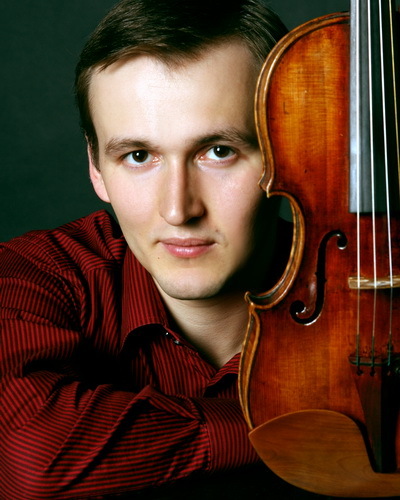 In July 2007 Nikita Borisoglebsky has signed an exclusive contract with the Moscow Philharmonic Society Artists management which represents him over Russia. «Звезды XXI века» - 20 марта 2009.